When Angeline Stanislaus, M.D., became chief medical officer for adults for the Missouri Department of Mental Health in 2014, she recognized a need for further education to support her new role. After researching programs, she decided to apply to the UMKC Physician Leadership Program to expand her business acumen. In her current position, Dr. Stanislaus provides leadership and mentors the department clinical staff. She also promotes top quality care, department-wide policy, and professional, clinical and ethical values and standards. Now that she’s completed the Physician Leadership Program, she is able to better understand and incorporate the workplace culture in her work, making her a more effective leader. Before accepting her executive leadership role at the Missouri Department of Mental Health, Dr. Stanislaus practiced forensic psychiatry for 14 years. She earned her medical degree from Tirunelveli Medical College, Madurai Kamaraj University in India, and completed her residency in psychiatry with a fellowship in forensic psychiatry from Southern Illinois University. She has also worked as a consultant, professor, corrections psychiatrist and in private practice. While she credits this diverse experience in helping her become a chief medical officer, she says her education through the Physician Leadership Program gave her the tools to be an effective change maker and leader. Applications are being accepted for the UMKC Physician Leadership Program, which begins in April 2017. It is a partnership between the UMKC School of Medicine and the Henry W. Bloch School of Management. It is designed to provide comprehensive management skills that will prepare physicians to successfully fulfill the leadership requirements of 21st century health-care delivery. The application deadline is February 3, 2017. For more information about the program, visit the website. The School of Medicine has announced Peter Almenoff, M.D., clinical professor of biomedical and health informatics and internal medicine, as the inaugural Vijay Babu Rayudu Endowed Chair of Patient Safety, effective Sept. 1. The new position will support efforts by the School of Medicine and Saint Luke’s Hospital to develop education and research programs in patient safety. 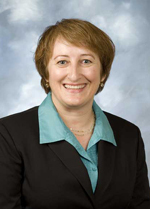 Almenoff joined the School of Medicine faculty in 2011. He served as Assistant Deputy Undersecretary for Health for Quality and Safety for the Department of Veterans Affairs from 2008-2012 and provided leadership to the School of Medicine’s clinical affiliate, Kansas City, VA Medical Center. 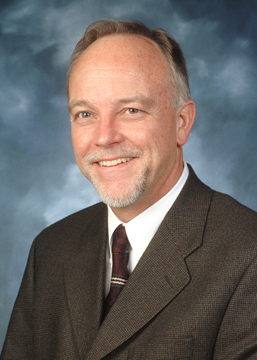 He also served as the National Program Director for Pulmonary and Critical Care. Almenoff is currently serving as Special Advisor to the Office of the Secretary, Senior Fellow, Veteran Affairs Center of Innovation, and Director of Operational Analytics and Reporting (OAR) Veterans Health Administration. The chair of patient safety was endowed by the family of Vijay Babu Rayudu, who passed away in 2007 while a student at the School of Medicine. Rayudu’s parents are physicians near Memphis, Tenn. His sister, Parvathi, is a 2012 graduate of the UMKC School of Medicine, and his brother, Ranga, is also a physician. The family said it believes the memorial endowment provides a contribution to the practice of medicine that Vijay Rayudu will not be able to provide directly. In his new role at the School of Medicine, Almenoff will advise the School in developing medical education programs and research programs that incorporate patient safety. Almenoff will also serve an advisory role to Saint Luke’s Hospital on the development of a clinical outcomes analytic program. The UMKC School of Medicine’s Orthopaedic Surgery program is a five-year orthopaedic residency as required by the American Board of Orthopaedic Surgery (ABOS), with four residents in each year. The faculty are dedicated to the active education of our residents. We use interactive techniques in conference and rounds which will require all residents in attendance to participate. Residents are expected to develop treament plans for their patients and be able to defend their thought processes in developing the plan. High academic achievement and the ability to utilize a fund of knowledge is stressed. The bulk of the formal teaching conferences are held at Truman Medical Center on Wednesday mornings, 6:30 to 9:30 a.m. The ten-week Anatomy Module comprises the bulk of the Wednesday morning conferences during the first quarter of the academic year. Wednesday morning conferences include orthopaedic faculty presentations, resident presentations, hands-on surgical skills sessions, and other invited speakers. Almost every month (10 times per year), the Wednesday conferences are held at Children’s Mercy Hospital for pediatric orthopaedic surgery grand rounds. At Children’s Mercy, the hospital’s faculty present a review and update of cogent topics covering the gamut of pediatric orthopaedics over a two-year period. PGY-2 through PGY-5 residents are required to present at least one formal grand rounds presentation per year at the Truman Medical Center Grand Rounds, usually sometime after the annual Orthopaedic In-Training Examination in November. PGY-1 residents are able to attend the department’s formal teaching conferences during their internship. A one-hour conference is held every Thursday morning, 6:30 to 7:30 a.m., usually at TMC. Thursday is a late OR start day at Children’s Mercy and Saint Luke’s, allowing residents to be present for first-case starts on those days. Journal Club is held on the first Thursday of each month at TMC. The Saint Luke’s orthopaedic grand rounds is held the second Thursday of each month at Saint Luke’s and is a review and update of a myriad of adult musculoskeletal topics by the hospital’s faculty. A regular Saturday morning case conference is held on the first and third Saturdays of each month, August through May, at Saint Luke’s, 7:00 – 8:00 a.m. The senior residents and sports medicine fellow present cases for review by the faculty to help become better prepared for their oral board examinations. 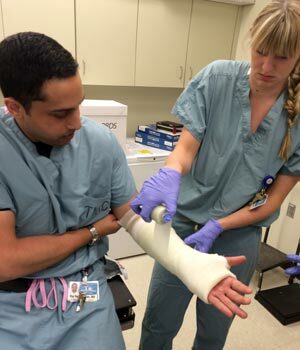 PGY-1 residents are assigned to a series of rotations which will fulfill the new ABOS requirements. The internship schedule; includes six months of orthopaedic surgery (three months at TMC and six weeks each at Saint Luke’s and Children’s Mercy), one-month rotations in neurosurgery, anesthesiology, and musculskeletal radiology; and three months of general surgery and critical care. The PGY-2 residents are assigned three-month rotations at TMC – Hospital Hill, TMC – Lakewood, Children’s Mercy, and Saint Luke’s (Spine Service). The PGY 3 resident will spend three months at TMC and Children’s Mercy. Additonally, there will be three-month rotations on the joint service and three months on the arthroscopy service at Saint Luke’s. As a PGY-4 the rotations will be: two months on a research rotation; one month of musculoskeltal oncology at the University of Kansas, three months of sports medicine at the Kansas City Orthopaedic Institute; 3 months at TMC – Lakewood; and three months at Saint Luke’s (foot and ankle surgery). As a PGY-5, the resident will be the chief resident for three months at Saint Luke’s and Children’s Mercy, and spend six months at TMC. Our residents graduate with exceptional surgical experience. Most seniors will have more than 2400 major surgical cases by the time they graduate. Our residents become quite talented in the OR, with good technique and surgical judgement. All residents are expected to complete a research project prior to graduation. In the PGY-2 year, the resident is to present a grand rounds presentation, hopefully on a subject which may lead to a research topic. By the end of the PYG-2 year, a research topic and faculty research collaborator are to be selected. By the end of the PGY-3 year the project is designed, IRB approvals garnered and funding obtained. A dedicated two-month research rotation occurs during the PGY-4 year. During the PGY-5 year, the resident is to present the project at our Department Research Day and submit for other local, regional, and national or international presentations. The research project must be submitted ready for publication and presented at an orthopaedic meeting as a requirement for graduation. Residents’ duty hours are carefully regulated to ensure compliance with the 80-hour work week requirements of the Accreditation Council for Graduate Medical Education (ACGME). The rotations use alternate shift schedules and at-home call to achieve this goal. Residents are not on call more often than every third night on average and receive a 24-hour period free of clinical responsibility every seven days. Because of these work-hour requirements, moonlighting is NOT allowed in this program. Residents are employees of the University of Missouri. Current salaries are competitive with midwestern programs. More information on benefits is available here. Each of these 16 milestones is evaluated for medical knowledge and patient care. Additionally, a resident’s demonstration of morals and ethics are to be rated as either satisfactory or unsatisfactory. One month prior to the evaluation meeting, the faculty are sent the evaluation form and asked to score the resident on a scale of 1-4 (unsatisfactory-outstanding). Faculty members are also asked to record any comments on the form, specifically necessary for a score of 1 or 2. The faculty member signs and dates the form and returns it to the program director on or before the day of the evaluation meeting. All faculty members are invited to attend the evaluation meeting. At the evaluation meeting, each resident’s performance is discussed in detail. Comments are recorded and used in combination with the completed evaluation form by the program director to complete an evaluation of the resident for the rotation. Each resident meets with the program director to discuss the evaluation. Residents are asked to sign the faculty evaluation and are given a copy of all written evaluations and forms. For complete details on the evaluation rubric and details of what these terms mean, as well as expanded details of each milestone, please visit the ACGME’s website. Following the final evaluation of the year, the program director determines if the resident will be promoted and/or graduated. All resident appointments are for 12-month periods. Residents not reappointed as a result of poor performance may utilize the grievance process. The UMKC Orthopaedic Surgery Clinical Competency Committee (CCC) consists of Program Director Dr. James Bogener, Department Chairman Dr. Mark Bernhardt, Department Vice-Chairman Dr. Akin Cil, Associate Program Director Dr. Tim Badwey, Associate Program Director Dr. Nigel Price, Dr. Charles Rhoades, and Dr. John Anderson. The CCC meets periodically and determines the residents progress in the 16 orthopaedic surgery milestones. The School of Medicine recently welcomed a new docent as well as a returning docent. Lawrence Dall, M.D., professor of medicine, who served as a senior docent at the School of Medicine from 1982 through 1998, will take over the Red 3 docent team while also serving a special role in the dean’s office working on special projects. 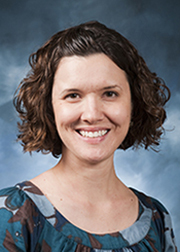 Emily Haury, M.D., a graduate of the School of Medicine’s Internal Medicine-Pediatrics Residency program and a former chief resident, has joined the School’s faculty as an assistant professor and docent for the Red 6 team. The School will add Rebecca Pauly, M.D., as the new docent for the Blue 4 team beginning in September. Pauly will also have an additional role in the dean’s office working with faculty development. After stepping down from his docent’s role, Dall served as a clinical professor of medicine and infectious disease at the School of Medicine and has been a clinical instructor at the Kansas City University School of Medicine and Biosciences. 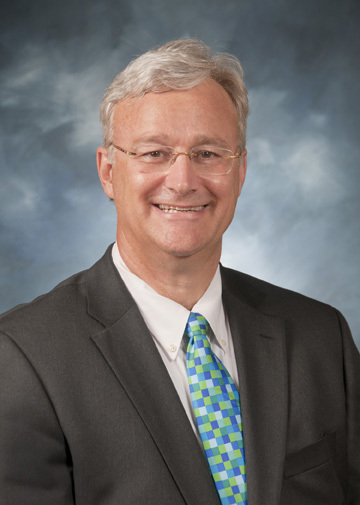 He has also recently served as physician group leader for IPC/Providence Medical Center and as associate medical director for Midwest Hospital Specialists in Kansas City. During his previous tenure as a docent, Dall served in numerous clinical and academic roles. Among those many roles, he was chief of the section of infectious diseases and also served as the School’s chairman of the Council of Docents and was vice chair of academic affairs. Haury received her M.D. from the University of Kansas School of Medicine after earning her bachelor’s at Goshen (Ind.) College. She completed her residency earlier this year at UMKC where she received numerous awards and honors for her work. As a resident, Haury served on the Internal Medicine-Pediatrics Residency recruitment committee. She also served as a volunteer student physician at the KU School of Medicine’s JayDoc Free Clinic, and was a teaching assistant in the biology, chemistry and psychology departments at Goshen College. Nurry Pirani, M.D., assistant professor of medicine, served as interim docent for the Red 6 team for the past year in addition to Green 4 docent. She will continue to serve as docent on her Green team. 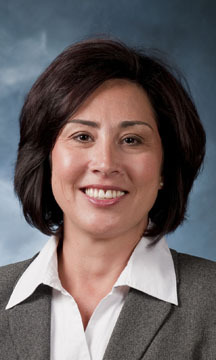 Jennifer Bequette, M.D., assistant professor of medicine, previously served as the Blue 4 docent and as the Blue 1 docent. She will continue as docent for the Blue 1 team. 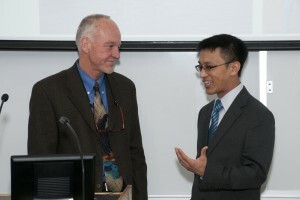 Stuart Munro, M.D., (left) catches up with Henry Lin, M.D., ’06, the keynote speaker for the 2013 International Health Care Day on April 16 at the School of Medicine. Students and faculty from the schools of Medicine, Dentistry, Nursing and Pharmacy shared their global health care experiences during the second annual International Health Care Day, renamed from International Medicine Day to reflect its interdisciplinary participation, on April 16 at the School of Medicine. “International health is one of the best areas where interdisciplinary education can occur,” said Stuart Munro, M.D., chair of the new Department of Medical Humanities and Social Sciences, and head of the UMKC School of Medicine International Medicine Committee. Henry Lin, M.D., ’06, an advanced fellow in pediatric transplant hepatology at Northwestern was the keynote speaker. Lin focused on ways to assess the sustainability of short-term medical mission trips and shared his experiences in the Dominican Republic, where he has volunteered every year since 2006. Lin has formed an interdisciplinary team, which has morphed throughout the years, attracting members from throughout the United States and Canada to travel with him to the Dominican Republic. “What we’re trying to do is figure out, is there a way that we can shift the balance of benefits toward the global community,” Lin said. Four SOM students and one faculty member were presenters. Apurva Bhatt, MS 3, Rucha Kharod, MS 5, and Raza Hasan, MS 5 each spoke about their trips to India for an infectious disease rotation. Matt Goers, MS 6, community coordinator for Partners in Health (PIH), presented his experiences overseas and his involvement in the PIH Engage Initiative. Charlie Inboriboon, M.D., assistant professor of emergency medicine, spoke about his experiences in teaching and supporting students in trips abroad. Inboriboon came to the School last year from the University of Rochester, which is known for its focus on global medicine. His research interests include emergency medicine development in Thailand, integrating global health and medical education and qualitative, community-based participatory research. All of the day’s presenters shared common benefits of international health care experiences including, learning, opening their eyes to new cultures and ways of life, and hoping for long-term aid in the places they visited. The School of Medicine has created the Department of Medical Humanities and Social Sciences that will be chaired by Stuart Munro, M.D., clinical professor in psychiatry. The new department centralizes a variety of courses programs from the School into one cohesive unit. It made the most sense at this time for the School to combine the various courses that deal with the social aspects of medicine into one academic department which shared a common theme, according to Paul Cuddy, Pharm.D., professor and senior associate dean of academic affairs. The department will also house the International Medicine Program and the Sirridge Office of Medical Humanities and Bioethics. 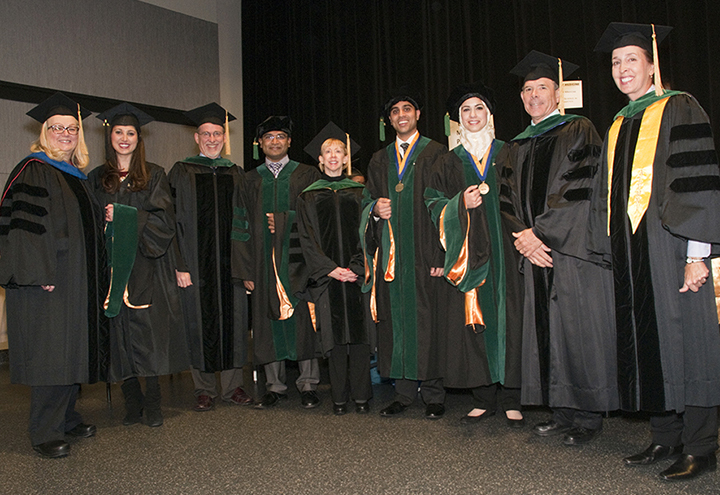 In addition, the department will provide oversight for several courses in the medical curriculum which address the social aspects of medicine: Fundamentals of Medical Practice I-IV, Hospital Team Experience, CUES (Communication, Understanding, Education and Self-awareness), Behavioral Sciences in Medicine, and Patient-Physician-Society I and II. The Sirridge Office will continue to be led by Lynda Payne, Ph.D., Sirridge Missouri Endowed Professor in Medical Humanities and Bioethics. It was established in 1992 to expand opportunities to provide humanities courses for students in UMKC’s six-year BA/MD program. After an external search, Munro was selected and began as chair March 1. He continues to serve as the academic chair of the psychiatry department until the current search for a new chair is complete. Munro has served in a variety of roles at the School since 1986, including psychiatry chair, behavioral sciences course director, advisory board member for the Sirridge Office, assistant Dean for Years 1 & 2, International Medicine Program director, and interim dean. He also received the Elmer F. Pierson Good Teaching Award for the School of Medicine in 2012. Mark Bernhardt, M.D., interim chairperson of the Department of Orthopaedic Surgery since July of 2012, will become the permanent department chair effective June 1, 2013, the School of Medicine and Truman Medical Centers announced. 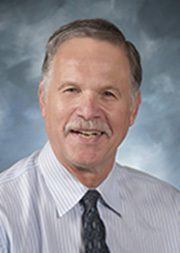 A member of the Dickson-Diveley Midwest Orthopaedic Clinic since 1990, Bernhardt joined the School of Medicine faculty in 1994 as a clinical associate professor and has served as a clinical professor since 2000. As department chair, Bernhardt will be ultimately responsible for the School of Medicine’s five-year orthopaedic surgery residency program. Residents receive training through rotations at the area’s leading orthopaedic facilities including Truman Medical Center Hospital Hill, Truman Medical Center Lakewood, Children’s Mercy Hospital, Saint Luke’s Hospital of Kansas City and the Kansas City Orthopaedic Institute. He earned his medical degree from the University of Kansas School of Medicine and completed his residency training in orthopaedic surgery at the University of Kansas School of Medicine-Wichita/St. Francis Regional Medical Center and Affiliated Hospitals. He completed a fellowship in spine surgery at the Harvard Medical School/Beth Israel Hospital. Bernhardt has been a member of the Board of Directors of St. Luke’s Hospital of Kansas City since 2007, has served as president of the St. Luke’s medical staff, had membership positions on numerous committees at St. Luke’s, and been a member of the UMKC School of Medicine’s selection council and orthopaedic department research and publication committee. 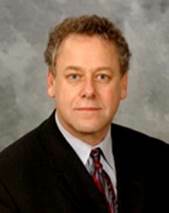 He has also served as director of the Spine and Deformity Clinic at Children’s Mercy Hospitals and Clinics, and as associate team physician and spine consultant for the Kansas City Royals professional baseball team, assistant team physician for the Kansas City Blades professional hockey team, and associate team physician for the Kansas City Explorers professional tennis team.